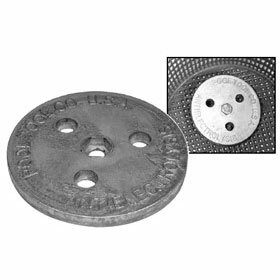 Zinc Anode Weight was designed to stop metal erosion, and plaster discoloration due to galvanic corrosion. Keeps skimmer basket in place. Bolts permanently inside or outside any skimmer basket..